Real results, real training in real-life places! I cannot recommend G3 Dogs enough. After the 1st lesson (1 hour) I had my Oldtyme Bulldog walking to heel on command (no pulling what so ever) [previously heavy pulling on the lead!]. After the 2nd lesson my 38kg powerful bulldog was walking to heel off the lead with distractions. His recall was outstanding by the end of the lesson. My control over my dog was 100 times better. You worked wonders for me and my dog. Thank you Edmond and G3 Dogs! This is a great example of an owner that loves his dog, believes that things can change & is willing to put just a few minutes a day to train his dog. Within 3 lessons from a ‘pulling/inattentive dog’ to off leash heeling, off leash recall, automatic sit when stop, sit on command and stay when other dogs and people pass; he is literally a different dog! By using a mini Educator we achieved a very high level of obedience over several weeks (1 lesson per week) through a system of e collar training that allows the dog to be completely off leash and under control. Where there were issues of the dog reacting to other strange passing dogs, or even just running off with his buddy to play – it is important to have a level of control of your dog in public settings. Contact: training@g3dogs.com for training or for seminars. 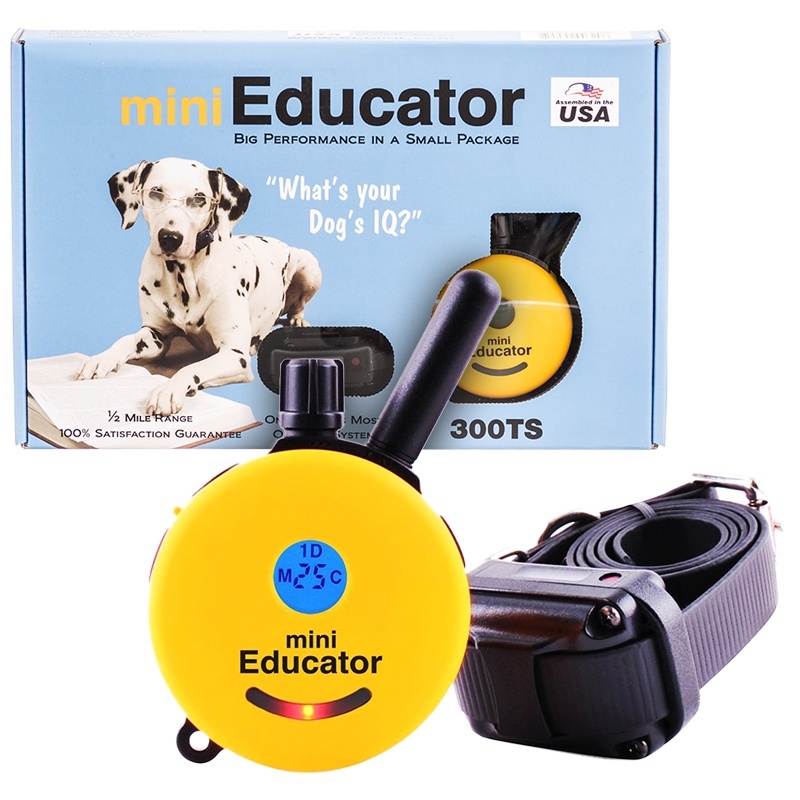 The mini Educator ET-300TS available to buy online at www.ecollar.eu. We highly recommend that you seek advice for G3 dog trainers with experience in e collar training. Our trainers cover nationwide areas, including Cambridge, Essex, and e collar trainers in London. Regions: North West, East of England, London and South East/South West.